This relates to prescription drug coverage that is not part of a Medicare Advantage Plan or a Medicare Part D standalone plan, for example, from an employer. 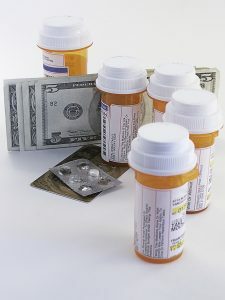 In order to be deemed creditable, this prescription drug coverage must pay, on average, at least as much as the standard prescription drug coverage available through Medicare. If you have creditable coverage, it is possible to delay enrollment for Medicare Part D benefits when you first become eligible and avoid paying a late enrollment penalty if you do decide to sign up at a later date. James was happy with the creditable prescription drug coverage he received because he felt it fulfilled all his needs.